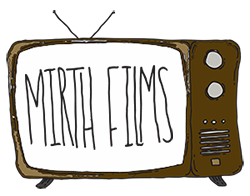 On Saturday July 21st, Mirth Films will be holding a skateboarding competition at the Lake George Skate Plaza located in the Charles R. Wood Park in the beautiful town of Lake George, New York. If you’re a skater we’ll be having a Jam Style Competition, Best Trick, High Ollie, and Games of S.K.A.T.E. If you aren’t a skater come down to enjoy the Charles R. Wood Park and check out these amazing athletes and support some local businesses and vendors! Competitions will start around 11 a.m and go until 6 p.m with normal skate sessions going on throughout the day. Vendors will be on site all day as well. Prices for entering the different competitions will be announced at a later date along with prizes. All proceeds will go to the Skate Plaza Fund for phase 2. So come spend a day with us at the Skate Plaza and check out some awesome skateboarding!